There are arguably some disadvantages to being a chief interpreter. One doesn’t get to interpret as often. One has a clock to punch, reports to write, long staff meetings to sit through, and scores of managerial chores that are not necessarily fun. And while one free-rides occasionally on collective success, failure is no longer circumscribed to one’s own mistakes. If an interpreter on my team falls flat on her face, I have a lot of explaining to do. Obviously, the job comes with many perks. You are suddenly cleared into circles you did not know existed, where guidelines are discussed and decisions are made that have a direct impact on the overall pace of progress in the industry. The opportunity to help shape the future is real. And did I mention the welcome promise of a steady income to weather the seasonality of freelancing? But beyond the evanescent elite membership privileges and pecuniary incentives, what I like most about the job is the amazing learning experience it provides. Being on the other side of the counter brings a completely different perspective, but I still know full well what it is like to be a freelancer. The position taught me a lot about diversity and human nature, while revealing many attributes of my own personality, some reassuring and some I would rather sweep under the rug. Just a few years into the job, I realized many things I wish I had known in my days as a freelancer. Knowing then what I do now would have greatly improved my performance and earned me an extra buck in the process. So, for the benefit of those interpreters who do not aspire to become a chief interpreter, I thought I would share some important lessons learned along my professional journey. 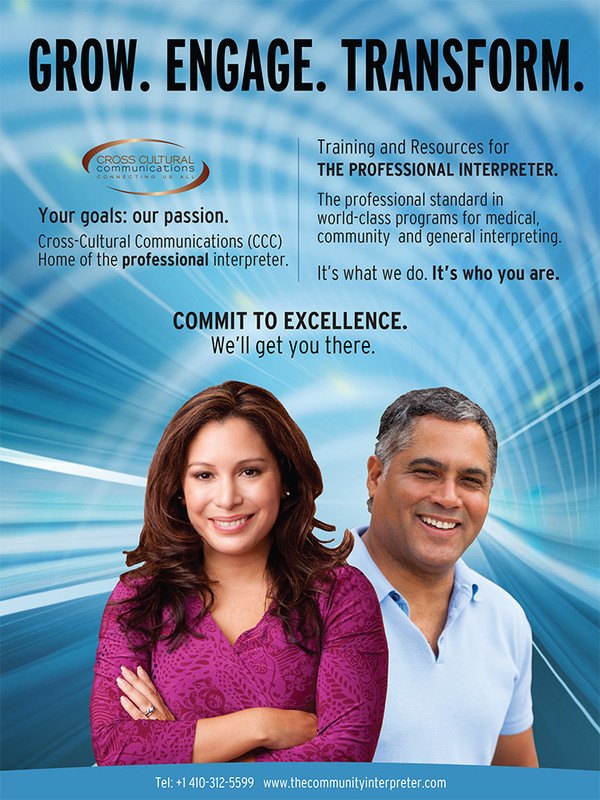 One’s interpreting abilities, accuracy, and smooth delivery rank high up on any chief interpreter’s checklist. But so do punctuality, teamwork skills, flexibility, and, most importantly, manners—both in and out of the booth. The best interpreters are the ones who get the job done unassumingly while making it easier for everyone to do the same, including the chief. They work diligently on their languages as well as their people skills. By contrast, arrogant, over demanding colleagues make it all about themselves and risk having relative gains in performance overcast by the toxic atmosphere they end up creating. All things considered, I guess any chief interpreter would prefer a really good interpreter with a great attitude over an excellent interpreter with a poor attitude. Take-home point: be good, but be nice. You have every reason to be proud of your skills and achievements. You worked hard on yourself and attained a reputation as a reliable, competent linguist. You interpreted for J.K. Rowling, Harry and Dumbledore, and got a standing ovation at Hogwarts. Kudos to you! Your VIP list will earn you extra credits with a prospective client and is certain to be a sensation among your Facebook friends. Yet being on a first-name basis with Lord Voldemort does little to impress chief interpreters. We’ve been around the block once or twice on that broom, too, and we can quickly see through the self promotion blabber. To really leave a mark, review the attributes discussed in the previous section. Prepare and deliver as a dependable professional. Get in, get it done, and get out. Do so consistently and let your work speak for itself. Take-home points: drop the hocus pocus. 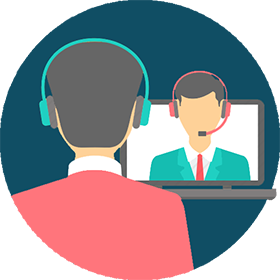 There are some valid questions an interpreter might consider asking before an assignment if the requirements have not been communicated effectively by the chief interpreter. Dropping a line to flag an omission or to seek clarification on the venue, the time, or the subject matter shows professionalism and conscientiousness. Overdoing it will convey the opposite impression, though, and you will come across as an inexperienced or, worse, insecure interpreter. If you must ask a few questions, here’s a quick guide to getting the information you need in a manner that conveys professional competence. •	Think of what you want to ask and then mentally refine the list. •	Strike out any questions you might find the answers to somewhere else. I have no idea what the weather will be like in Geneva next week. •	Do not ask questions a chief interpreter might prefer not to answer, like who your booth mate is going to be or why you have not been assigned to interpret at the closing ceremony. You may end up with a vague answer or one you do not want to hear. •	Most importantly, in the event you receive a notification canceling the assignment, be careful not to ask for reasons based on unproven assumptions. (“Did I do anything wrong?”) Rather, reply with a polite and assertive note to acknowledge the cancellation and reiterate your willingness to be of assistance a second time around. If you need to rely on e-mail, please keep message traffic to a minimum. E-mail is an incredibly time-consuming tool. Keep your notes short. Don’t “reply to all” and by all means never bcc anyone. Present all relevant concerns in a single e-mail and make it such that no reply is necessary (“If I don’t hear from you by Monday, I’ll assume …”). Take home point: do not seek and ye shall find! Conference interpreting is seasonal by definition. Conferences follow a predictable ebb and flow pattern. Few people will be willing to meet over the holiday season, and come August, it will be too damned hot (or cold) to talk about anything. You might as well close the talk shop for a good 30 days and be out playing golf or skiing. Regardless of how good you are, there will eventually be unwanted holes in your calendar. That is just a fact of life; a freelancer’s life, anyway. And somewhere along the line you will have to sacrifice a full week of meetings for a conflicting two-day conference. While this situation just has to be accepted, that does not mean you have to take it lying down. During the low tides, most interpreters respond passively, sitting by the telephone with their fingers crossed and wondering why it will not ring. They’re either too shy or too proud to make their availability known, and only a few will break the inertia and ask their employers for work. Guess what? These selected few who take initiative are the reason your telephone is not ringing. There’s nothing wrong with flagging your readiness to an employer. The trick is doing it without imposition. Don’t ask funny questions and don’t kiss up. Simply reiterate your willingness and availability in a straightforward e-mail with no attachments. You’re not begging for work. You’re simply presenting yourself as a viable option. In so doing, you increase your chances of landing another contract while helping the chief interpreter in the process. Take-home point: out of sight, out of mind. In an ideal world, presenters speak slowly, bring extra hard copies of their presentations, and throw candies to interpreters from behind the podium. Schedules are announced in advance and kept unchanged. Travel conditions are great, the sound system works to perfection, and everyone around you is cool, calm, and collected. But save for Shangri-la, that is certainly not the norm anywhere, and the ensuing uncertainties often drive interpreters to the edge. Some colleagues react by going into chronic whining mode. Their frustration mounts and is often misdirected at teammates or the client. This leads to poor team spirit and puts people off fast. As a conscientious colleague, you will want to keep a constructive attitude despite any perceived risks and would do well to put the client first. Be transparent. Address problems directly and be sure to target behavior, rather than people. Be part of the solution or be neutral. Not getting in the way is sometimes the greatest help of all and the kindest thing to do. Cursing the darkness may feel good and temporarily appease your anxiety, but lighting a candle works a lot better for all concerned. Take-home points: reach for those matches but don’t put oil in the fire. The words “thank you” are among the first and last ones to ever come out of an interpreter’s mouth. They are also the first and last words interpreters will hear as speakers open and close their talks. Repetition alone should have by now engraved in our brains the self-evident truth that appreciation ought to precede and succeed all of our actions. Sadly, however, that awareness is lost to many among us, and many interpreters leave those powerful words unsaid. These colleagues waste a golden opportunity to experience a superior emotion and the promise of more good things to come. They overlook and eventually banalize the many blessings involved in bringing another day of work to fruition. They deny themselves the gift of joy and snap back into anxious anticipation for what tomorrow will bring. And tomorrow keeps bringing more of the same. According to most ancient traditions, the universe runs on thought-forms and feelings, and what we call reality is a mere reflection of what we project. In less esoteric lingo, science points in the same direction with expectations dictating results in high-level experiments in physics. Whether or not you believe in the magnetic pull of gratitude, adopting a more appreciative stance is guaranteed to make you happier. It will also bring you more jobs and ultimately money. Appreciation acknowledges the circumstances that bring freelancers and employers together, mindful that both parties could have chosen otherwise. Appreciation operates from the premise that both sides want to get it right. Appreciation acknowledges one’s honest efforts, albeit imperfect, as steps in the right direction. It makes visible and reinforces that which need not be fixed. It feeds back on itself and keeps mutually appreciative players engaged in a long, self-sustaining virtuous cycle. Consider increasing your thankfulness. Train yourself to feel grateful for—not entitled to—the offers of work you get. Acknowledge them with gratitude or decline with grace. Reinforce the behavior you want to see more of. Make it a habit to send a thank-you note to those who help you materialize the wonderful life you create for yourself in your chosen field. Do it with conviction yet without the expectation of receiving anything in return. No need to get carried away or say much. Those two simple words will do. Take-home point: just say the words. Interpreting is a communications business. As an interpreter, you are part of a broader conversation, and complete neutrality remains a lofty yet elusive aspiration. Try as you might, you can’t help but bring into the picture some of your true essence. It will show through in your intonation, your word choice, and even the length of your pauses. You’re certainly not at liberty to share your opinions in the booth, but the interaction will be different because of you. That’s okay, but only as long as you can shift the focus away from you. You’re not a machine. Think communicate, rather than interpret, and do not be afraid to contribute the attributes that make you a unique enabler. But remember that good communicators make it all about their interlocutors. Good interpreters take genuine interest in those on the receiving end. Ewandro Magalhaes is a writer, senior United Nations staff and conference interpreter. He is also a TED author, professor and a former Chief Interpreter of ITU. He is also the go-to person in the promising field of remote interpretation.